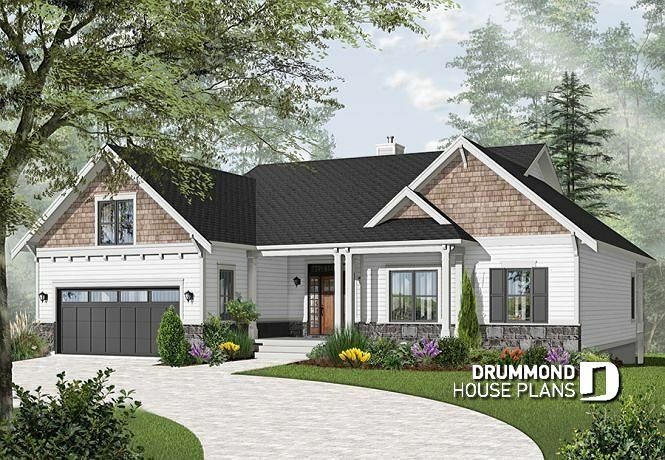 Imagine your family in one of our handsome modern farmhouse plan with contemporary amenities and floor plans from our farmhouse plan collection. Escaping the city and wanting to live in a rural or country environment? Therefore, nothing says country like a classic farmhouse plan! 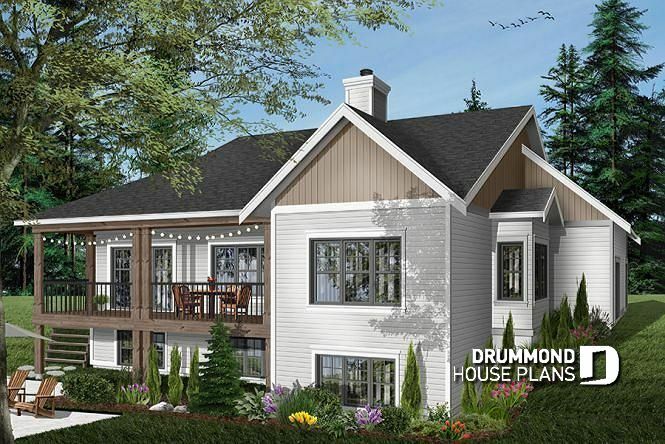 Today, discover the first of many new modern farmhouse plans we’ve recentry added to our plan collection: HOUSE PLAN # 3246-v1 also called Aldergrove, that offers up to 5 bedrooms, a 2-car garage and a walkout basement! This spectacular rear view of plan 3246-V1 include a large rear covered balcony accessible from the master suite and the dining room. Most importantly, the walkout basement is finished, see floor plan below. if you have a non-standard lot and looking to have a finished (or not) walkout basement, this collection of homes, cottages and cabins plans if for you! The main floor plan of this beautiful modern farmhouse design includes a 9′ ceiling and a large master suite with private bathroom (2 sinks and large shower) and also a private access to the covered rear balcony. Beside that, there is also a central fireplace between the dining / kitchen and living room area. A laundry room, a powder room and a secondary bedroom (or home office) complete the first and main floor. 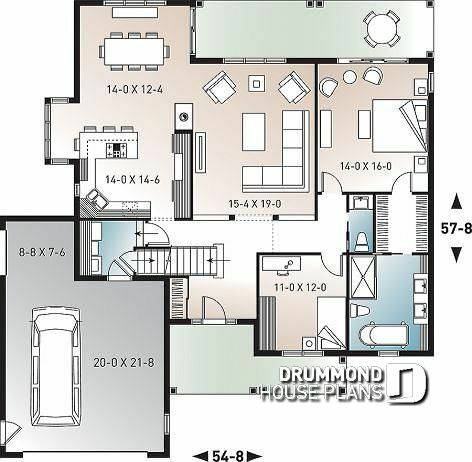 Read a house floor plan: do you know how? 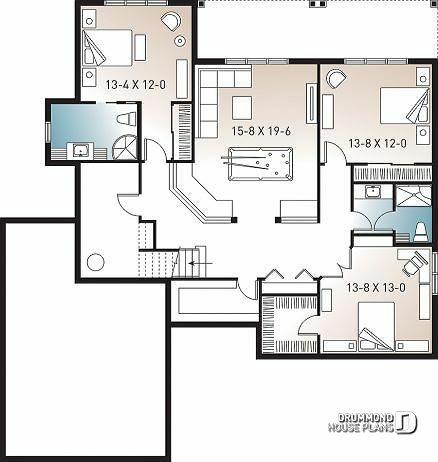 Need help to read our floor plans? Have a look here at this article! The finished walkout floor plan propose one guest suite with private shower room, two large secondary bedrooms sharing a shower room, and a large playroom / family room with enough space for a pool table. Looking to make changes to the floor plans, adding square footage or else? Get your FREE estimate for you plan modifications, today! From budget friendly small 1-bedroom modern home plans to spectacular 4 to 5+ bedroom contemporary home designs, if you are looking for a trendy plan collection, this is it! For bigger families or blended families! Discover one-story, two-story modern homes, country homes that offer various floor plans for all budgets and needs!